The Art of Howard Chaykin is a wonderful book for the fans. The book is a 256-page hardcover published by Dynamite Entertainment. For the price it's selling at, and the amount of content it has, it's great value for the money. Some places incorrectly listed it to have only 200 pages. 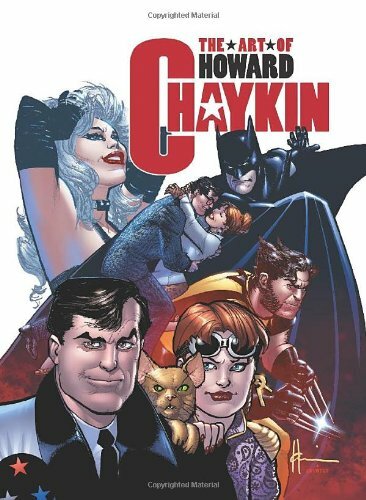 Howard Chaykin's story and career is told in a chronologically from the 1950s. It's a biography sort of, mixed with essays from such as Joe Jusko, Dave Johnson, and even Joe Quesada. There's a lot of text but the most interesting are the back stories of each title he works on, those are famous such as American Flagg!, Black Kiss, and those not that successful. That would things like things like story conceptualization, drawing of the pages and art, competing with other titles, etc. Howard Chaykin has plenty of war stories in the comic industry that makes this book an insightful read. Accompanying the text are many illustrations and comic panels reproduced in high quality. Also included is a checklist of all the titles he has worked on. And a gallery follows that with uninterrupted full page illustrations, sketches and selected comic pages. It's a great book for any fans who has followed his work. His american flagg series is pretty rad though..